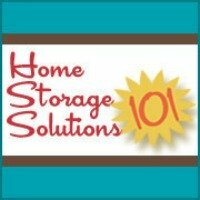 Your vehicle's trunk is designed to hold and store lots of items while you are driving. However, with the trunk being so big lots of small things can begin to slide around all over the place. Have you ever gone to the grocery and placed a bag in the trunk, just to find when you got home everything had slid around, fallen out, dented the cans, and broken the eggs? This trunk organizer is a perfect solution to items shifting around in your trunk. Lots of these nets, often called "trunk hammocks" are just a big net, but what I like about this one that is featured is that it actually has three divided pockets. 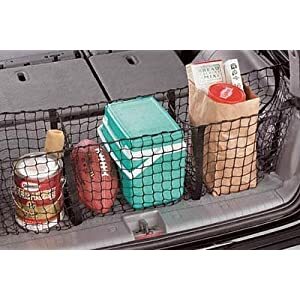 This allows you to better organize smaller items and keep the single bag of groceries from sliding around in the netting, as well as in the trunk itself. Another nice feature of this cargo net is that it is stretchy, which means lots of things will fit in there snugly.